82…Nothing but Hot Air – How Restrictive are Air Cleaners? 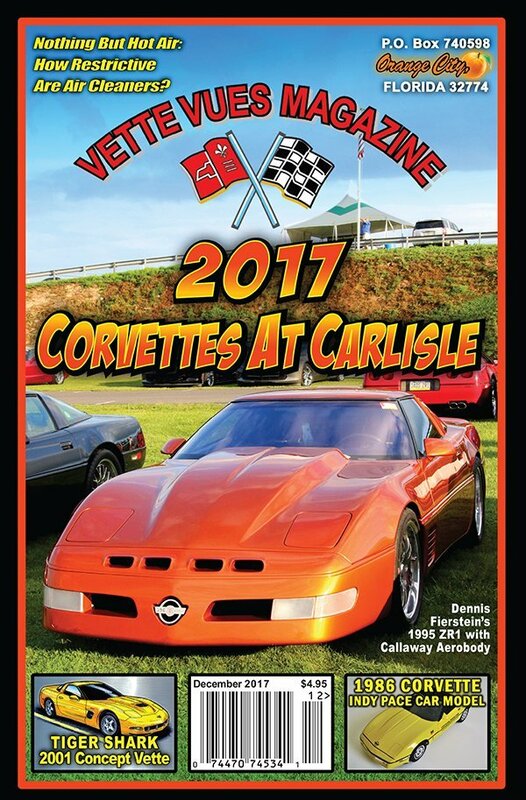 On the Cover: 2017 Corvettes at Carlisle, presented by Corvette America features more than 5,000 Corvette of all generations of America’s classic sports car. This is the largest Corvette event of the year. Our cover car, a 1995 ZR1 with the Callaway Aerobody, is on the Funfield and is owned by Dennis Fierstein. 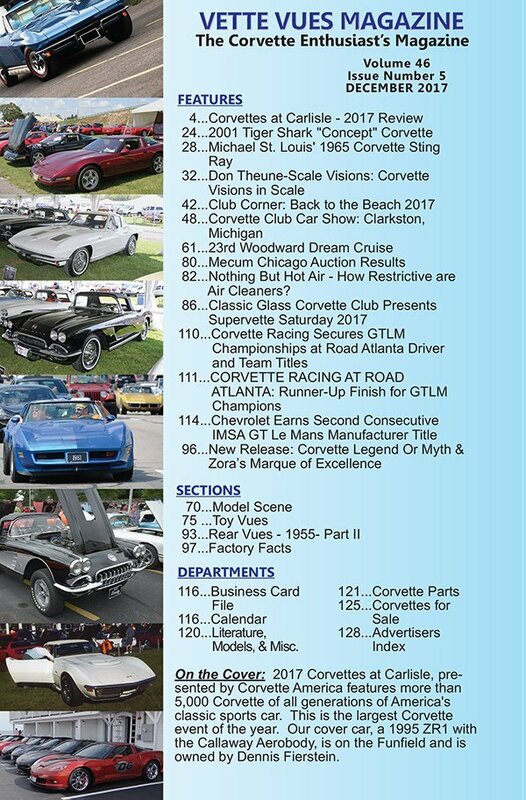 Corvette Magazine Subscriptions! Subscribe Today! 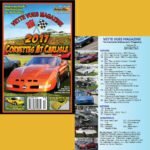 Tags: 2017 Corvettes at Carlisle, Corvette Magazine, Corvette Magazine Back Issue, December 2017 Issue, December 2017 Issue Vette Vues Magazine, Tiger Shark 2001 Concept Vette, Vette Vues Magazine	.